Subject: LongIsland.com - Your Name sent you Event details of "Community Group Opportunities "
Growing spiritually doesn't happen when we know what Jesus says. It happens when we apply what he says. Application happens best within the context of community. To grow spiritually, you must be connected relationally. 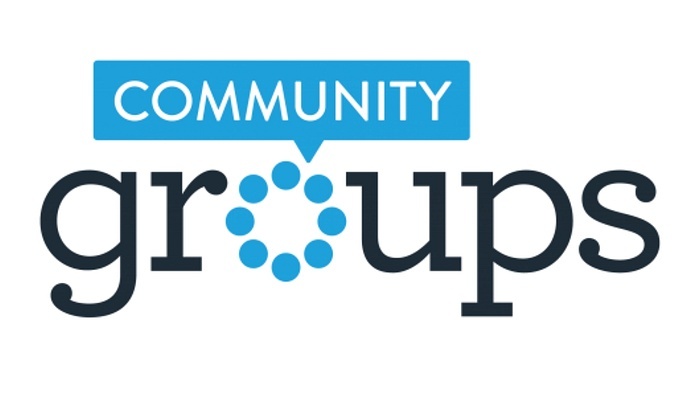 Community Groups are small groups of adults that meet weekly for friendship, support, and spiritual growth. Members of all ages, stages of life, and spiritual maturity are welcome. In fact, you don’t have to know anything about the Bible to participate. If you want to grow in your relationship with Jesus, you need to have intentional relationships with people who have the same goal, and a Community Group is the ideal place for that. In a Community Group, eight to twelve adults in the same stage of life and area of town meet regularly for a year or more to pursue spiritual growth and healthy relationships. You'll be encouraged to live out the truths you discover in the Bible, as you encourage others to do the same. On the reverse side is a list of Community Group opportunities. So, step out of the row and into a circle. For more information (including a short introductory video), visit our web site at southbaychurchli.org/groups, or please call the church at (631) 909-8241. South Bay is celebrating the multiplication of one Community Group into two. This is your chance to get connected because you go further, faster, together. Renuka Mazza is leading our newest group at the home of Rose Hanna, on Wednesdays, at 7:00 p.m. starting October 3. A little about Renuka: Renuka has been a follower of Jesus for the past 25 years. Born in a Hindu family, it was not easy living out her faith, but she has persevered in the strength of Christ. Her smile and personality fill every room she enters. Professionally, Renuka is a hospice nurse. Her most prevalent spiritual gifts include hospitality, evangelism, and service. In addition to group ministry, Renuka serves in First-Impressions and does visitation as needed. A little about Rose: Rose is the first person that said, “South Bay is a happy place to be,” and that sums up Rose Hanna. She is a delightful, happy, and pleasant person that has never met a stranger. Rose first came to our church on Friend Sunday last year. She connected with a Community Group right away and has loved every minute of it. For the past year, Rose has grown significantly in her love and faith, and she is looking forward to hosting this new group. Kimberly Hawley is starting a new group with Maria, on Wednesdays, at 7:00 p.m. starting October 3. A little about Kimberly: Kimberly finds real joy in leading people into deep, meaningful, and continuously growing relationships with Jesus Christ. If she could put a title on her group, she would call it “Be Real.” Her group encourages everyone to be transparent, and many meaningful and long-lasting friendships have bloomed. She invites you to take a deep, fun, growing, and fulfilling journey with the redheaded pastor’s wife, and join this group. “Buckle up because you’re in for a great ride,” she says. A little about Maria: Maria is a professional massage therapist, and she absolutely loves her job because she loves people. She co-leads the community group with Kimberly each week, and this is by far her weekly highlight. She loves seeing people of all ages find Jesus and grow in their faith. She also encourages transparent and close relationships. “Together, we walk out our faith,” she says. In addition to group work at South Bay, Maria also serves as a Deaconess.